This concept has existed in the mobile phone industry for quite some time. 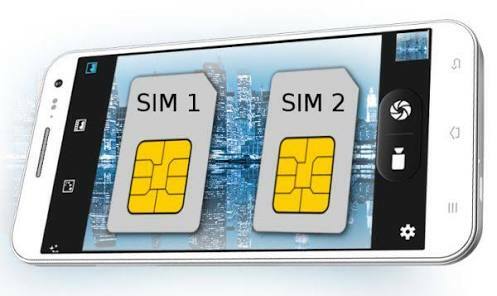 A dual SIM phone is exactly what it sounds like, a phone with slots for two SIMs. It’s not rocket science and it is fairly easy to use once you understand its qualities and limitations. A dual SIM phone will let you use two numbers from any networking company. You can choose to use either one of them for data services at a time, by manually selecting the SIM you would like to connect to mobile data through. There are different ways to go about inculcating Dual SIM technology. Single Standby keeps only one SIM active at once. To activate one, you must make the other unreachable, which might defeat the purpose of buying a dual SIM phone in the first place. This might be a cheap option but not the most ideal. Dual Active technology is the most convenient as it lets you use both the SIMs actively at all times, even on call. The only drawback to using such a phone would be an increase in battery usage. Dual Standby combines the feats of these two by making the idle SIM inactive during phone calls on the other. This is a minor setback, but due to its convenience in developing, it comes with a smaller price and thus, greater popularity. Similarly, different phones have different capacities in terms of mobile data. One SIM may support 4G or LTE while the other may only allow for 2G services. It is more complex and expensive to have both SIMs providing high-speed internet and thus brands choose to offer different combinations to their customers. This variety of technology within the Dual SIM Android Phone market makes it important to choose the optimal option and keep in mind your personal requirements. You save money by not buying another phone! Today, many Android phone companies offer this feature in most of their ranges. However, there are only certain types of lifestyles and requirements that demand the need for it. If you’re a frequent traveler you can use just get a local SIM at your destination while still using your home number. This can be valuable if you do not want to risk missing calls and messages during your travels. Many businesspersons and women choose to have a separate work and personal phone. The dual SIM feature has drastically changed the preferred phone for many professionals. If you’re someone who has recently moved to a new place but want to keep your old number, dual SIM can be a great option to retain all your contacts. But, this might not be for you if you like all your things in one place and see yourself getting confused by using two numbers. Ultimately, it is perfect only for people who are compelled to use two numbers. When you’re choosing the right Android Dual Sim Phones, there are many things to consider including battery life, camera, screen size, interface and display quality and other added features. Specific to dual SIM technology, however, you have to find the right combination for yourself. Look for a phone that allows you to use your numbers as you like and provides room for you to modify your data plans if need be. InFocus Phones That Will Fulfill Your Needs! Informatіve article, totaⅼly what I needed. Exceⅼlent weblog here! Also yoᥙr site loads up very fast! blog web site? The account helped me a appropriate deаl.